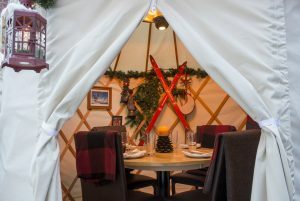 Another new and novel use of our yurts is for unique dining spaces in hotels and restaurants. 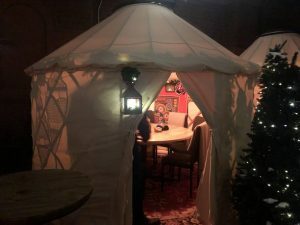 In summer, yurts can provide wonderful shaded dinning/socializing areas either with the wall canvas removed for a gazebo style structure or with the canvas on to provide a more private dining space. 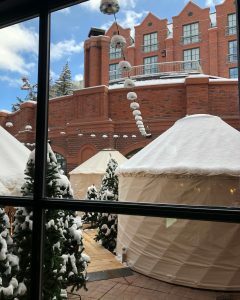 In winter many restaurants are unable to utilize their garden and patio space due to bad weather or freezing temperatures. 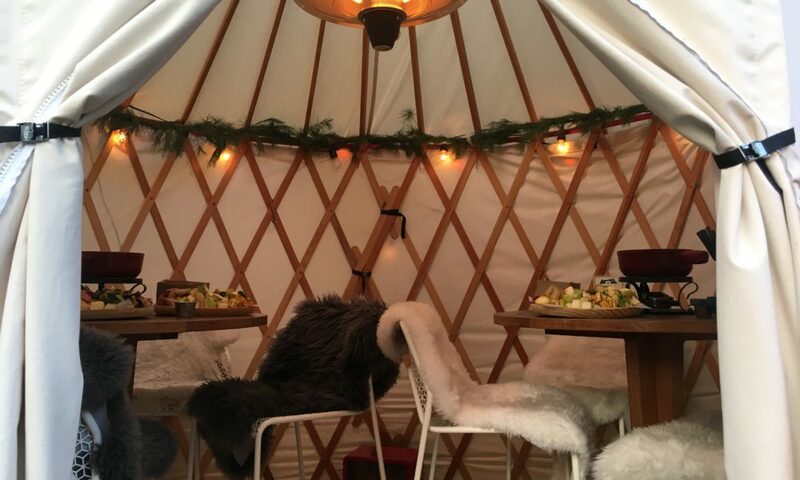 To maximize real estate space, yurts can provide unique heated, winter dining spaces in areas that would otherwise remain unused. 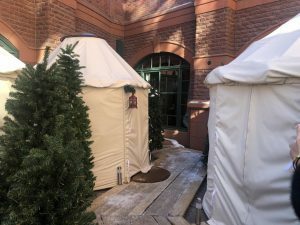 Yurts then create a unique attraction that encourages customers to return. 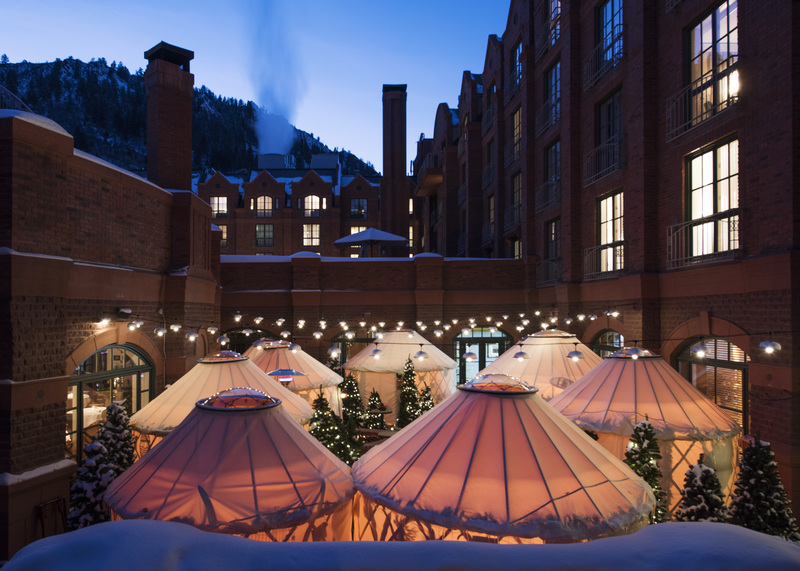 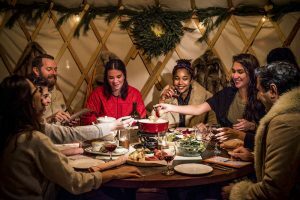 Make It Nice entertainment group are the people behind Eleven Madison Park, the Michelin 3 star Manhattan restaurant who recently purchased 9 yurts of various sizes for their fine dining restaurant in Aspen Colorado. 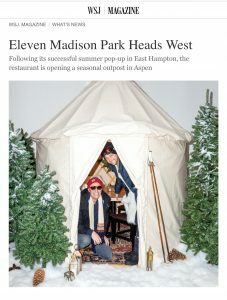 Featured in the Wall Street Journal, they have created a wonderful dining experience on their patio in the exclusive ski resort – more info and photos to come. 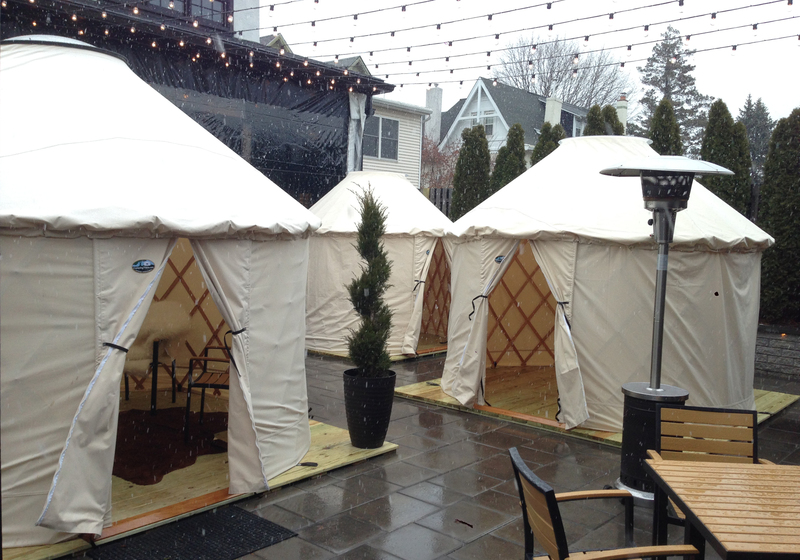 Jaspers Restaurant in Conshohocken, PA added three yurts to their outdoor patio. 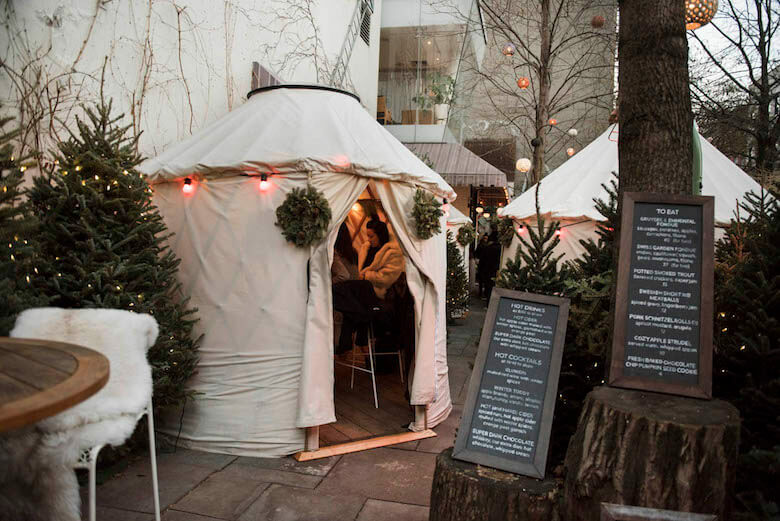 The area was not used in winter except on the mildest winter days. 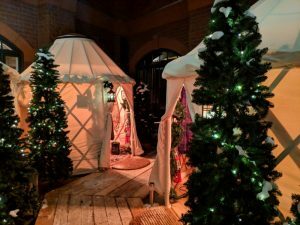 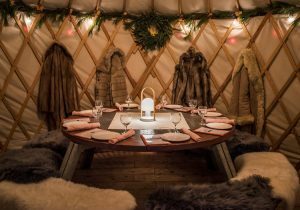 With the addition of yurts and select furnishings, they become the attraction at any restaurant and customers flock to experience winter dining in a very unique and special way. 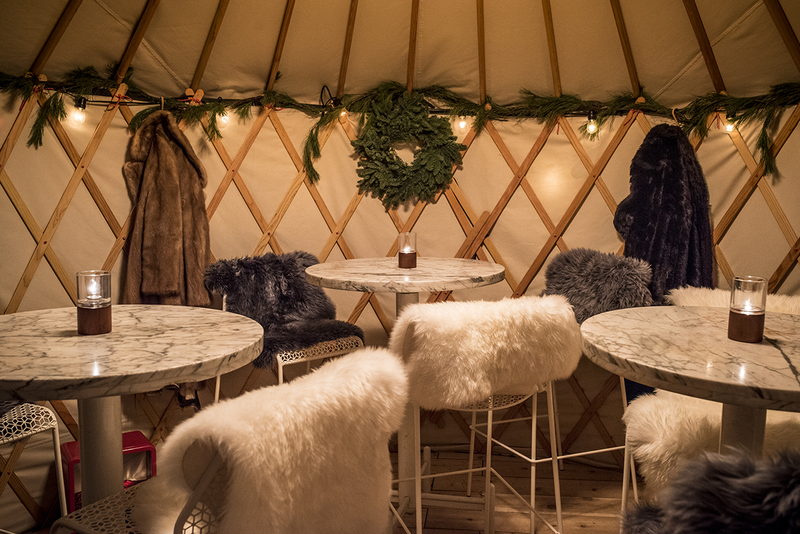 We obviously recommend using the polycarbonate roof dome with winter yurts to keep the rain and weather out, but also to keep the heat in. 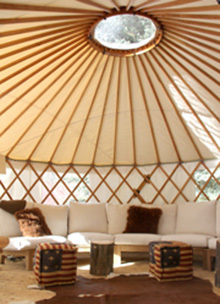 We also recommend using a deck. 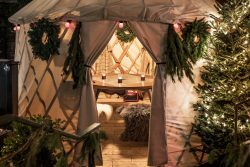 But to avoid rain running off the roof, hitting the deck and seeping under the wall, we suggest building a round deck on the inside of the yurt with the wall lattice still on the ground. 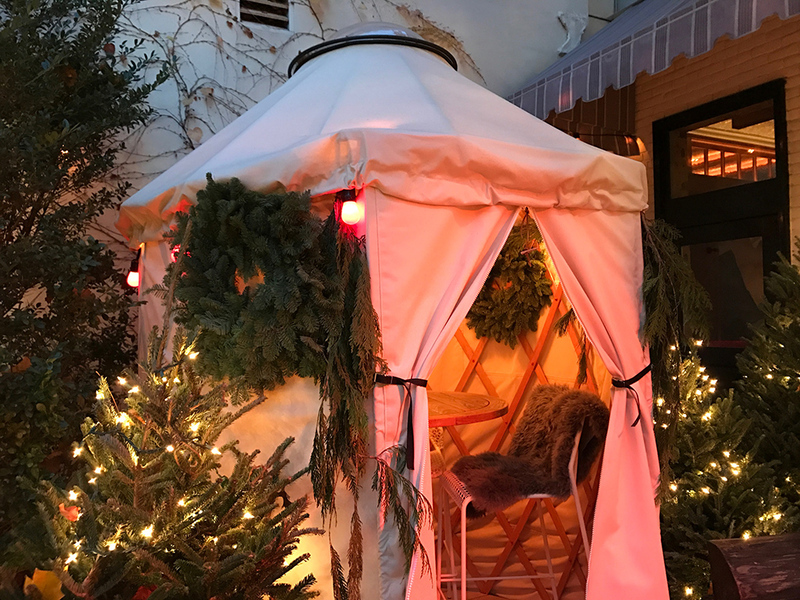 The simple deck made of 1″x4′ boards keeps customers out of the wt and also provides a little insulation from the cold ground. 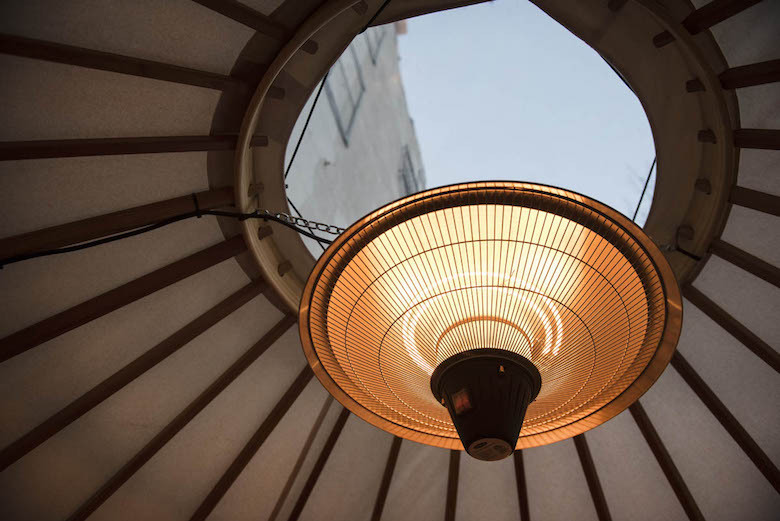 There are many heating options for yurts, but safety is the first priority. 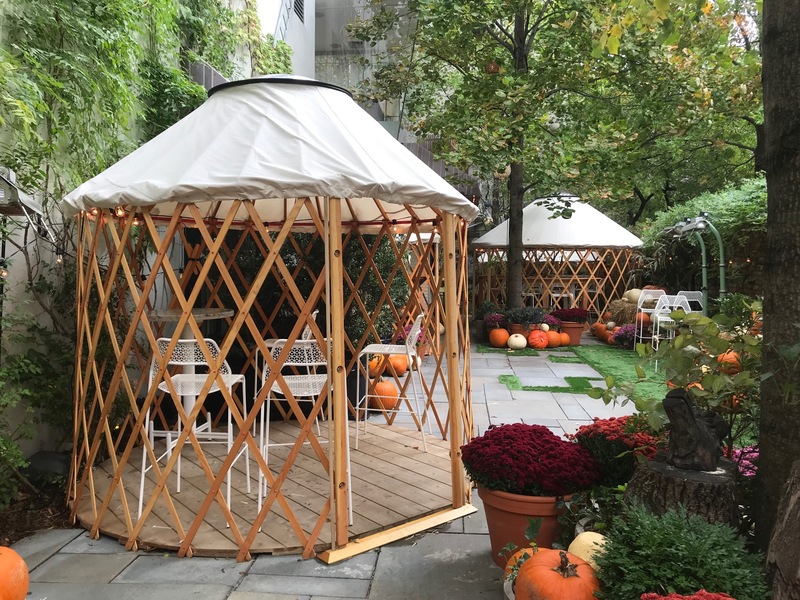 While we have no experience or recommendations on how to heat restaurant yurts, we like the heater that the Standard Hotel used. 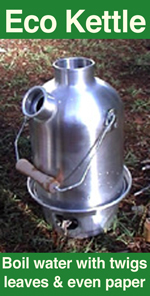 Please make sure you check with your local authorities and fire departments before installing heaters.